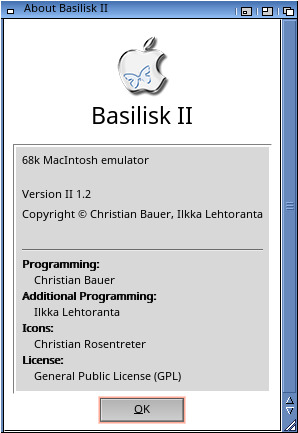 Description: A 68k Macintosh Emulator for MorphOS by Christian Bauer and Ilkka Lehtoranta. good enough to run demanding 68k games (040 was the best CPU used on 68k Mac). 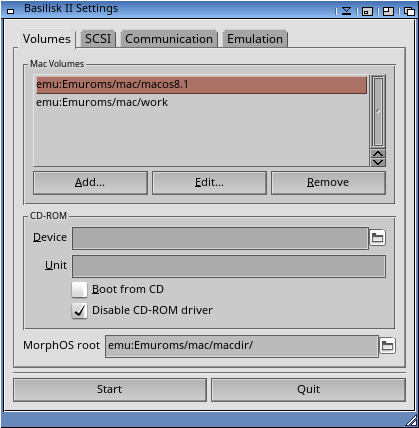 Pegasos is not supported in MorphOS. 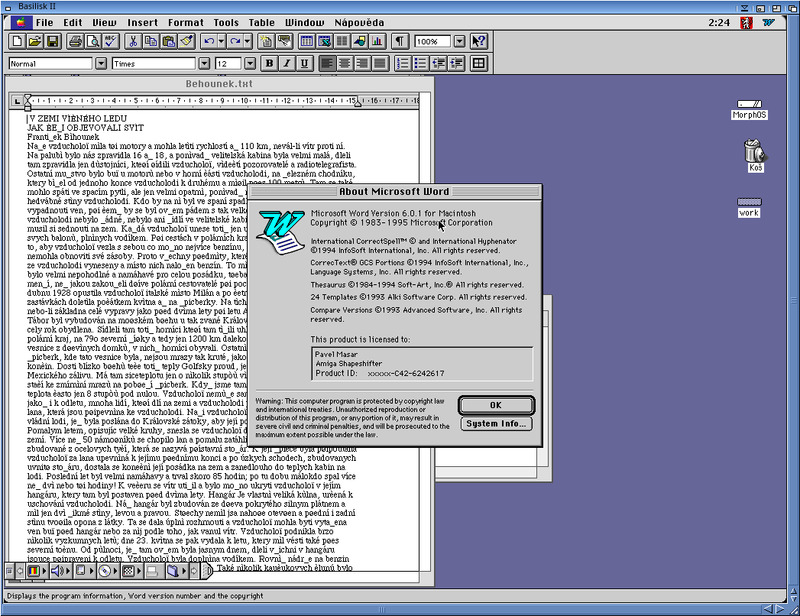 NSD and P96 support was removed since it is not relevant on MorphOS. which blocked other programs doing audio. It also defaults to 48000Hz/16bit now. 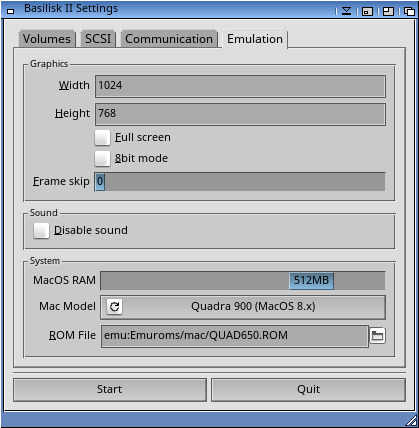 The largest possible MacOS RAM size is 1024MB but the minimum is 16MB. SCSI no longer respects CHIP/24BITDMA flags. 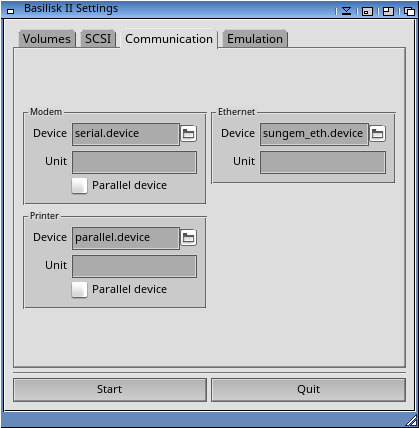 Source code to Basilisk II with MorphOS changes is available at AmiNet.